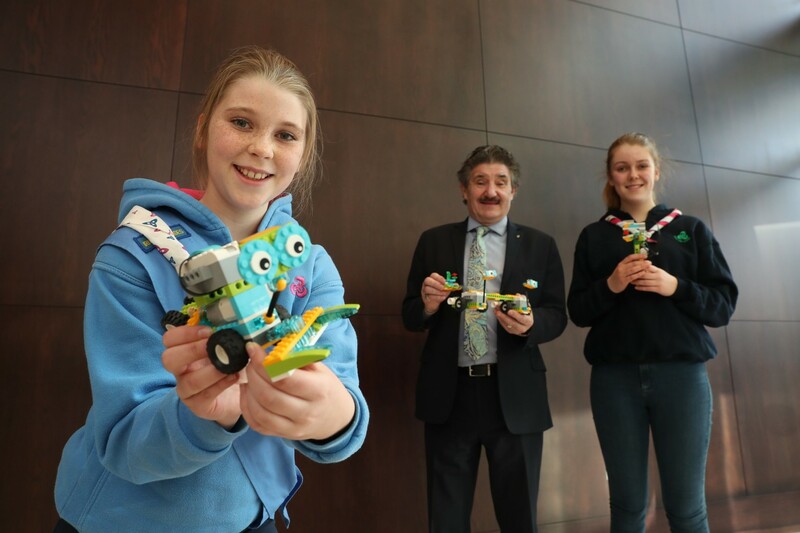 University of Limerick STEM public engagement projects are among those to benefit from Science Foundation Ireland Discover Programme funding announced by Minister for Training, Skills, Innovation, Research and Development, John Halligan TD. The national investment of €4.4 million has been awarded to a range of projects dedicated to educating and engaging the public in science, technology, engineering and maths (STEM). The investment reflects Science Foundation Ireland’s mission to foster the most engaged and scientifically-informed public. Part of the remit of the Foundation, through its SFI Discover Programme, is to achieve this goal by inspiring and guiding the best in STEM education and public engagement. 41 diverse initiatives will be supported by this year’s programme; 11 of which have been awarded funding for two years. This year’s call received over 80 applications from which successful awardees were carefully selected through international peer-review. Speaking at the launch of the SFI Discover Awards, Minister Halligan said: "I greatly support the significant efforts being made by Science Foundation Ireland to generate enthusiasm for STEM within the Irish public. The 41 initiatives being funded through this year’s SFI Discover programme will stimulate important public conversations around scientific research and will highlight the individual, societal and economic value of encouraging more people in Ireland to explore science-related careers. By shining a light on Ireland as a hub for excellent research that is far-reaching and inclusive, these projects will pave the way for our country’s innovative future." A number of projects specifically aimed at developing computing skills among young people are being funded, including CoderDojo, which is a network of free coding clubs (Dojos) for young people aged between 7 and 17. Approx. 6,000 young people learn how to code and build websites in Irish Dojos. A UL and Lero continuous professional development (CPD) programme for teachers to facilitate the teaching of the new computer science syllabus at Leaving Certificate is also being funded. This project is being managed and developed by the SFI Research Centre Lero, the world-leading, internationally recognised centre of excellence in software research, in conjunction with education and advisory partners. Space is another theme being supported again this year, with the Engaging Space project at Blackrock Castle Observatory, Cork. This funding will include support for Space Week, which takes place 4th – 10th October 2018. Ireland’s Space Week festival came third in the world in 2017 for World Space Week events. Career Mathways – A novel approach to STEM education developed by UL, dedicated to demonstrating the importance of maths and the vast career opportunities which can arise through studying it at third-level. Science Foundation Ireland has invested in over 200 public engagement projects through the Discover Programme since 2013. This year's funded initiatives are estimated to reach over two million people. Other Limerick projects receiving funding are the Science Hub at Learning Hub Limerick, UL and Physics Busking, which is organised and coordinated through a collaboration between CASTeL at Dublin City University, Institute of Physics in Ireland and the Bernal Institute at UL.